Where the Choice Is Yours. 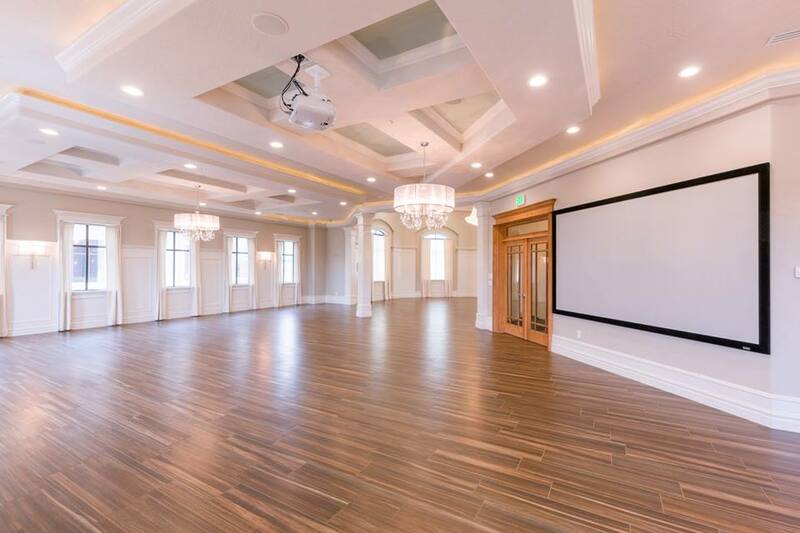 Copper Creek Event Center is South Utah County’s newest wedding venue option. 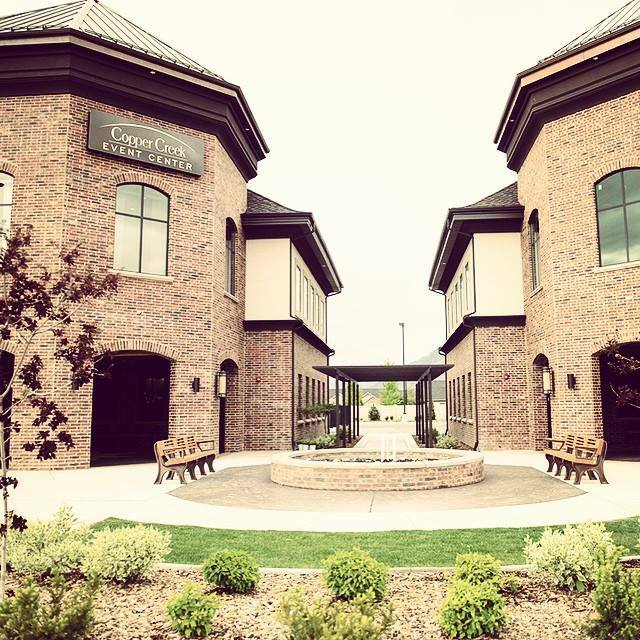 I highly would recommend Pam and Copper Creek Event Center to everyone. Such a beautiful place. I will recommend to all for any occasion! Thank you so much for my beautiful reception Copper Creek! 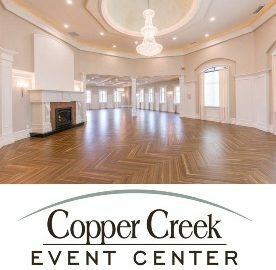 Get A FREE Brochure from "Copper Creek Event Center"
Copper Creek Event Center is South Utah County’s newest venue option. 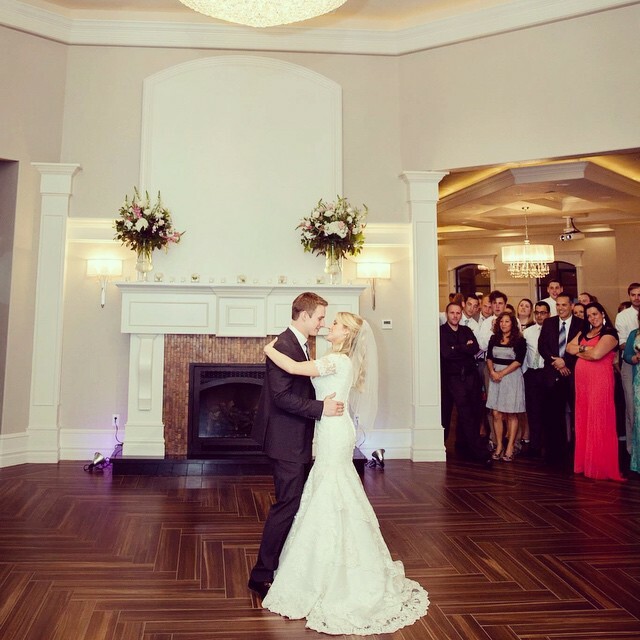 Wedding receptions and ceremonies; to anniversaries and birthday parties; to bridal and baby showers; to seminars and luncheons, we can host them all. Copper Creek is an “a la carte” facility. You have the freedom to choose the items you want included in your package. 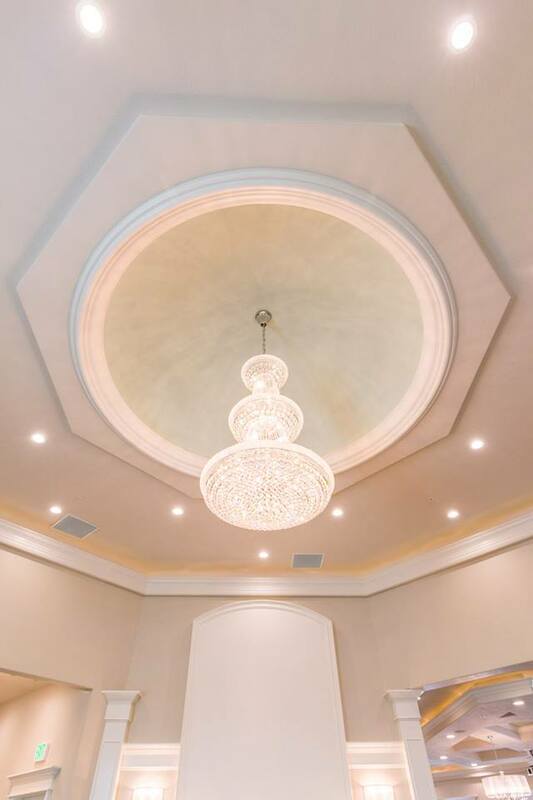 We can do as little or as much of the planning and carrying out of all the details, based on a package customized for your needs and budget. 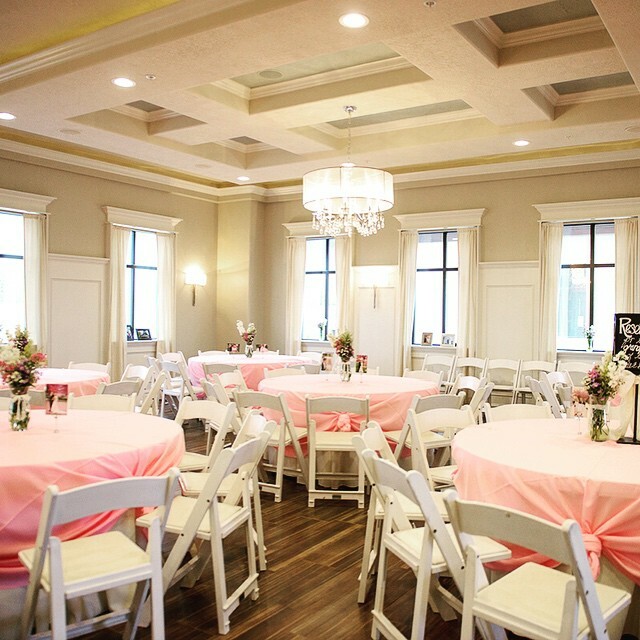 Please mention Salt Lake Bride when you contact Copper Creek Event Center! I want to take a minute to express how wonderful my daughters wedding turned out at Copper Creek, Pam the wedding planner was absolutely amazing. This was my first wedding as a mother so I had a lot of anxiety of what I needed to do, The first time I meet Pam she made me feel that I had no worries. She did such a amazing job and took almost every bit of stress off me. She is so organized and made my daughters wedding so beautiful. She took care of everything. And I was able to just enjoy the day. I highly would recommend Pam and Copper Creek to everyone. She made this day for my daughter so special. I just can’t thank Pam enough. I have now been to this venue for 6-7 different weddings. 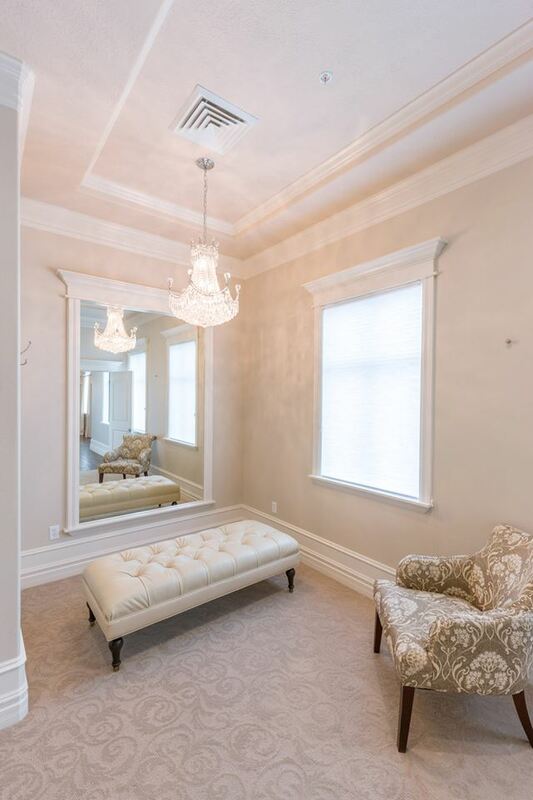 I am blown away to see how this place can transform and match any bride's style. 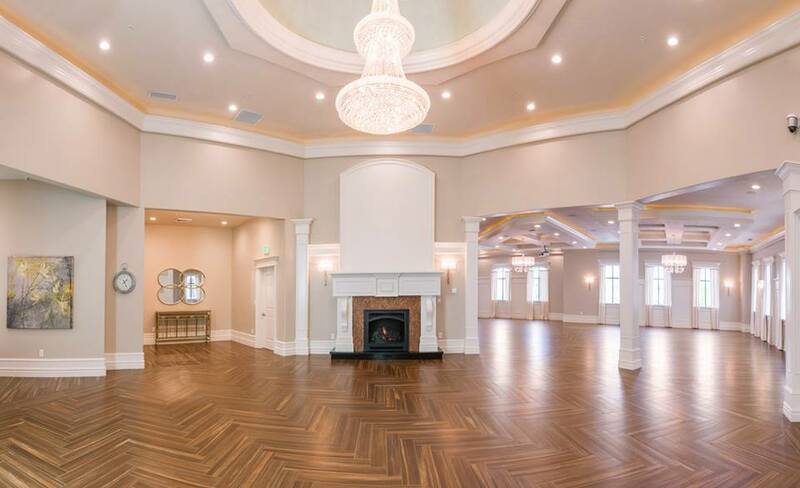 I really like the layout of this venue and the HUGE chandelier! All weddings that I have gone to have been satisfied with this venue, and I love it as a guest too! Such a beautiful place at a price you cant beat! Pam knows how to make everything feel like a dream! I will recommend to all for any occasion! 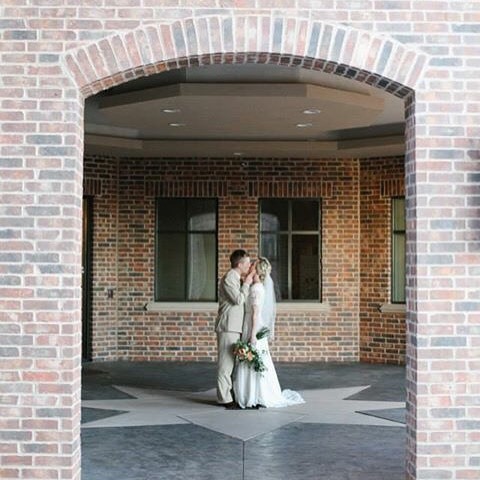 I had my reception here in April and was so glad I chose this venue! It was so beautiful and was very reasonable when it came to price! They have their own coordinator, Pam, who is available to help decorate with different selections of packages. I chose the middle package and it turned out SO beautiful and was worth every penny. Pam even went through the effort of growing succulents as part of my flower package! Above all it was worth paying the money to not have to stress about decorating yourself, it's all done by the time you and your family show up! They also had the option of catering through companies they work with. I went with Maglebys, and wish I would have gone with someone else but that's a whole other story. Bottom line is this venue is beautiful and all the staff involved was helpful and very talented! Thank you so much for my beautiful reception Copper Creek! I had my reception here. I fell in love with the place the second I walked in. It is the best venue for the price. Pam is very talented and reliable and she will take great care of you. She decorated for my reception and it turned out beautifully. She also helped provide contacts for additional services such as an Italian soda and crepe bar which were very affordable. I was so impressed, I would highly recommend this venue.